Spend some time in the Lord's presence at Oak Hills Christian College! Interested? 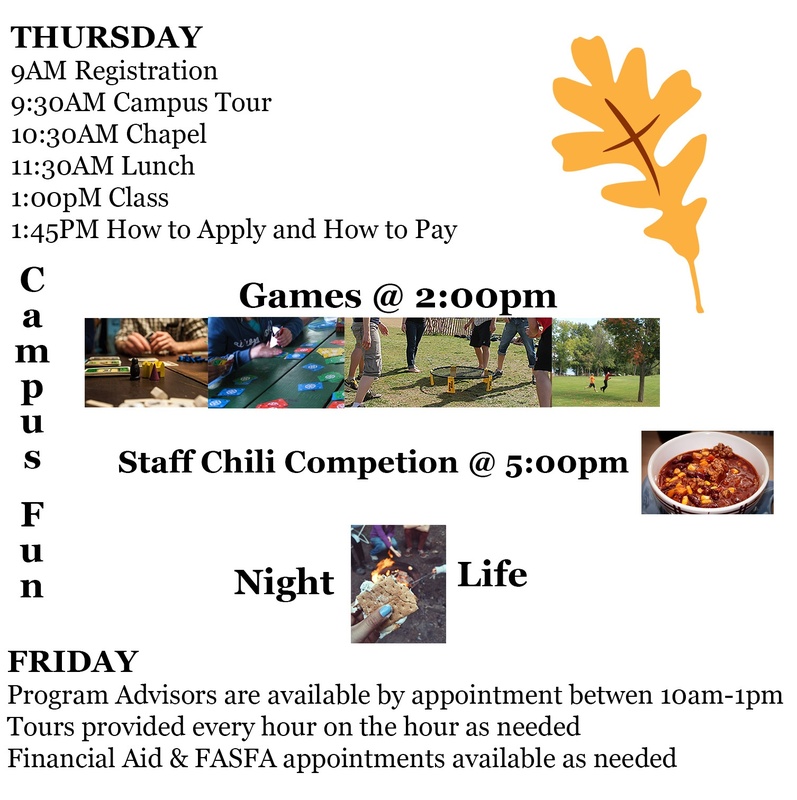 Fall Preview starts on October 18th or 19th! If you have any questions, contact our admissions department at (218) 751-8670 or admissions@oakhills.edu. We look forward to spending time with you while you’re on campus! You just fill out the Fall PREVIEW REGISTRATION form on this page. Does Fall Preview clash with your schedule? If you can't come the October 18th or 19th, consider scheduling a private tour!